All pet owners know how much these furry little creatures mean to us. Pet pictures are as dear and important for us as portraits of any other family members. If you own a pet, no doubt you enjoy taking photos of it, capturing both touching and funny moments. 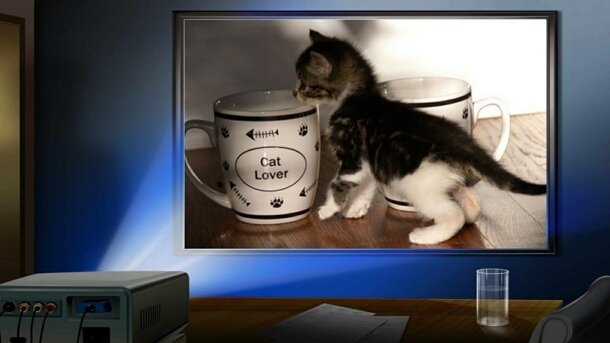 Watching those photos will be a lot of fun for family and friends if you make a slideshow of pet pictures. Making a picture slideshow is available to everyone nowadays. With user-friendly photo slideshow software you can turn your pet shots into an impressive vivid movie. In addition to a sequence of photos with eye-catching transitions, insert captions and subtitles. These can be pet quotes, or any funny comments you can think of. Besides the images and text, you can easily add a soundtrack – then, even your pets will probably be attracted to watching the movie! 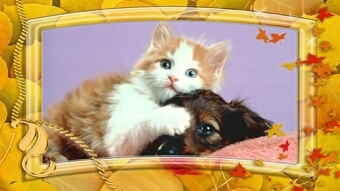 If you decided to make a slideshow of pet pictures, there is no need to wait for some special occasion. You can simply share everyday experiences you’ve had together. However, you can choose to devote your project to some special day, for instance, the first day when the pet appeared in your home. Another example is a memorial for a deceased friend. Given all the happiness they bring to our home, making a slideshow of pet pictures when they are gone is a good way commemorate the time spent together and to honor their memory. Creating movies from your photographs is an excellent way to spend time together as a family. Your kids will certainly love helping you to pick the photos and invent captions and subtitles. Making a slideshow of pet pictures is a fun and easy project that may encourage you to try something more challenging next time. Check out our Family Slideshow Ideas when you need inspiration for your next movie. 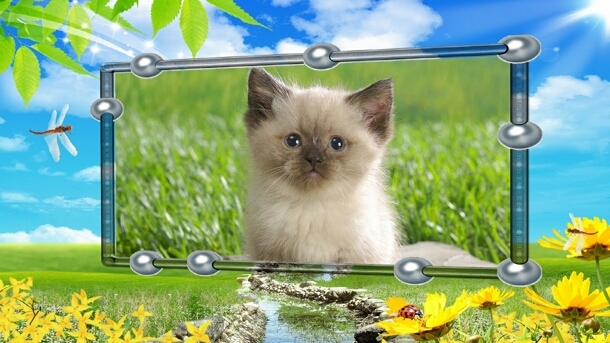 Download Photo Slideshow Creator to make a fabulous movie from your pet pictures!